We all know of the famous Earl Grey tea but how did the tea get its name? Well this is not a simple matter. According to Twinings, Prime Minister Earl Grey was given a case of this black tea flavoured with bergamot oil by a Chinese Mandarin and loved it so much that he asked Twinings to make a similar tea for him. Jackson’s Of Piccadilly disagree and say the original Earl Grey is theirs, the recipe having been given to Robert Jackson by Lord Grey. Tea was still quite a ‘new thing’ and what is clear is that the Earl was a big fan. Jane Austen was another early fan of the beverage but she didn’t have the honour of a tea in her name. Charles Grey, 2nd Earl Grey, was born in Northumberland in 1764 attended Eton then Trinity College, travelled Europe and then entered politics. He was prime minister from 1830-34, under the reign of William IV. 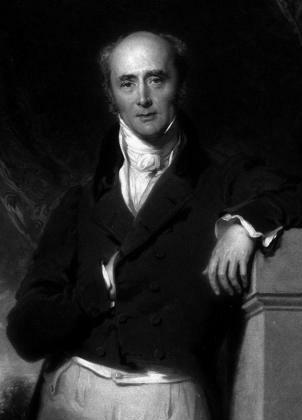 His term of office saw the passing of the Reform Act 1832, which aimed to correct anomalies in the electoral system. Charles and his wife, Mary had 16 children – so a big pot was needed at tea time in their house! Bergamot is a pear-shaped citrus fruit and the aromatic oil comes from the rind. As well as being used in tea it is used in perfumes. Because of its strong aroma Earl Grey is sometimes known as ‘Old Stinky’. Lady Grey tea also has the bergamot oil but with the addition of orange and lemon. With such tea flavours as cherry & cinnamon, honeybush & lavender and pineapple now available, Earl Grey’s bergamot doesn’t seem quite so unusual as it once did.